It’s always exciting creating a new collection; being my signature style, vintage silhouettes always run through my collections, but I also get inspired by colour combinations, fabrics options & textures. 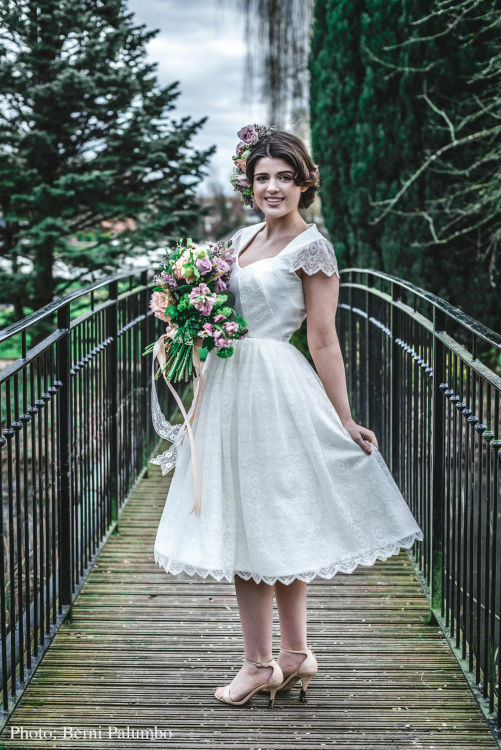 I take inspiration from the elegance of vintage eras, but with the use of modern prints, colours and materials, keeping it both timeless and on trend; creating vintage inspired collections, for the modern bride. 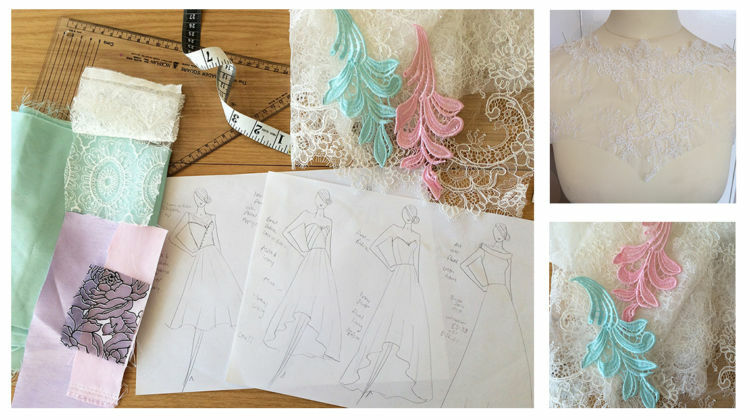 After selecting my final sketches, I create the patterns and then a toile (mock up), before producing the final garment. The best part, is then seeing the vision come alive at the photo shoot. This part requires a great team, and I was lucky enough to have Dinesh from Alterego Photography to shoot the collection, models Molly-Mae & Florence Flounce, who’s looks really complimented each other and the style was completed by the talented Rachel Lisa Jones hair and make up skills. Head over here to see the full collection & finished images. 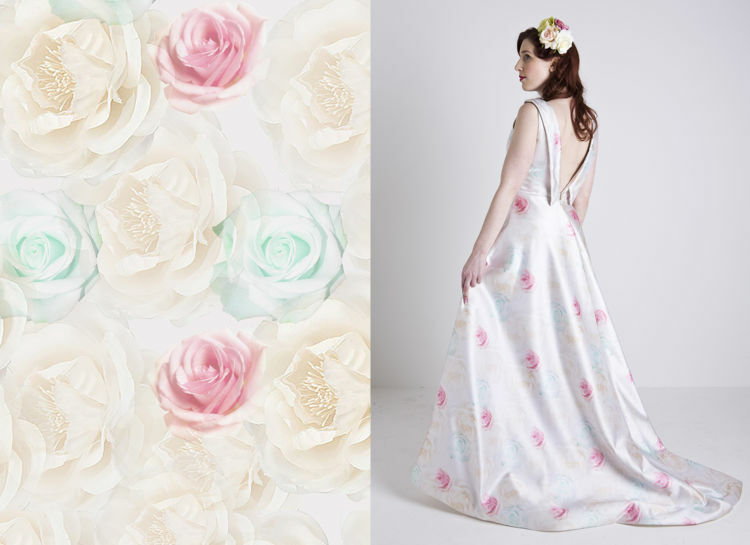 I also offer a bespoke design service, to make your dress even more you and truly one of a kind. Are you a bride to be? Or looking for a gown for another super special occasion? Which design would you choose?